As revealed at Inverse today, Valiant is proud to present a special first look at BLOODSHOT SALVATION #12, the astonishing finale to one of the most seminal and groundbreaking series that Valiant has ever published! On August 8th, New York Times best-selling writer Jeff Lemire (The Terrifics, Black Hammer) and incredible artist Doug Braithwaite (X-O MANOWAR, Justice) bring “THE BOOK OF REVELATIONS” to a startling, unprecedented denouement, as Ray Garrison grapples with the core of his being… and the being his legacy will one day birth in millennia to come! Bloodshot has traveled from the depths of the Deadside to the far-flung future of 4002 A.D. to save his daughter’s life… and spare her the murderous inheritance of the nanites that flow through both their veins. Now, stranded at the crossroads of the 41st century with one last mission between them and freedom, the question will finally be answered: Was it all for naught? 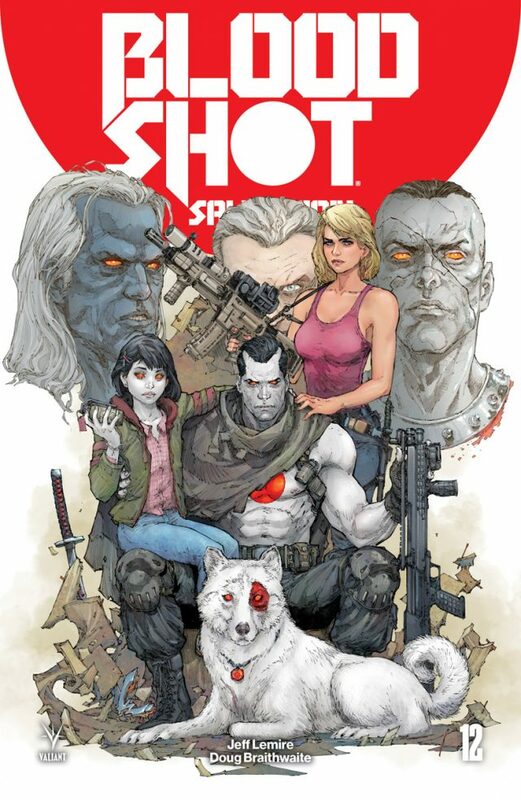 At long last, Eisner Award nominee Jeff Lemire’s staggering Bloodshot saga reaches a monumental climax as superstar artist Doug Braithwaite helps close “THE BOOK OF REVELATIONS” story arc once and for all – featuring covers by Kenneth Rocafort (The Ultimates), Renato Guedes (Wolverine), and comics legend MD Bright (QUANTUM AND WOODY)! 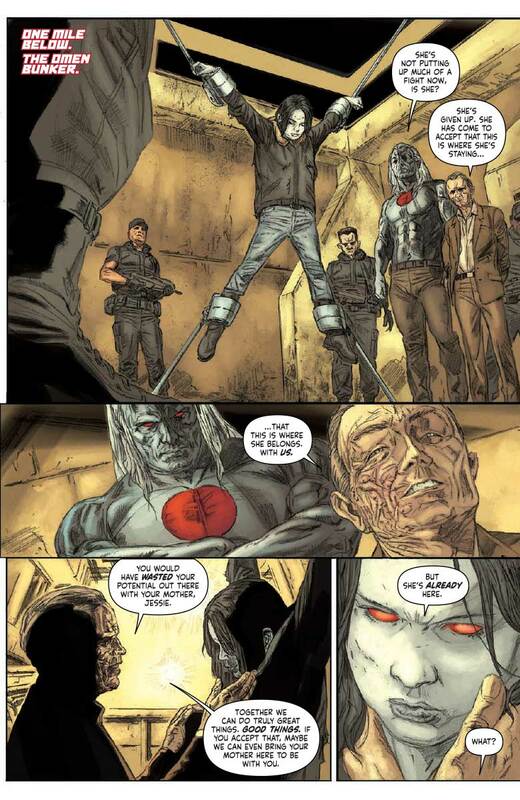 But first: Jump on board for the beginning of the end on June 13th, as BLOODSHOT SALVATION #10 propels its way forward into the future with a frightening new mission! Two thousand years in the future – in the year 4002 A.D. – the man once known as Ray Garrison is no more… but the microscopic nanites inside him live on. 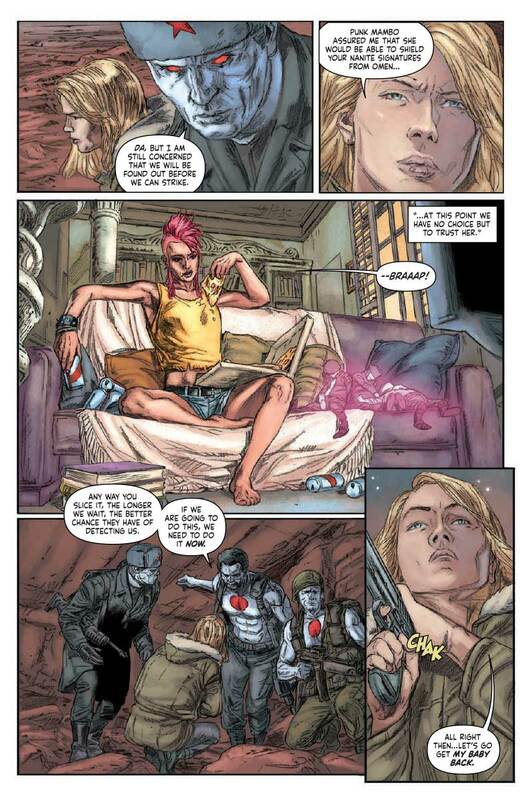 Enter Bloodshot 4001 – a strange, gunslinging echo of Bloodshot’s mind, body, and soul that is now more machine than man. 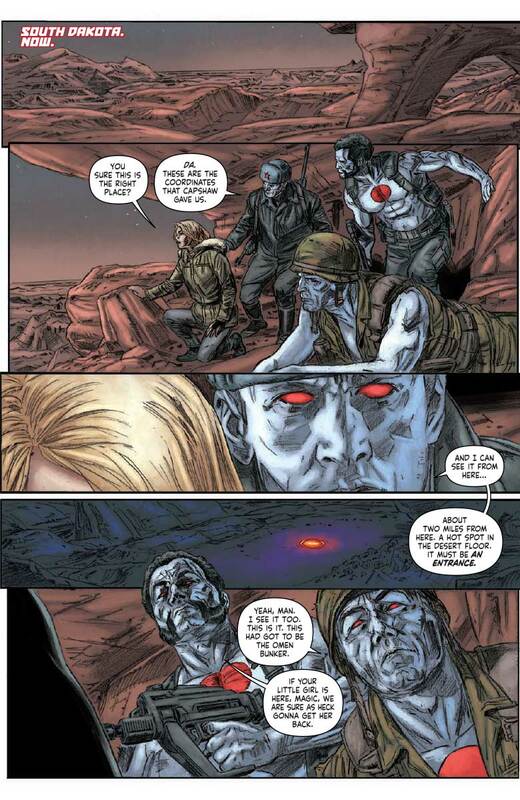 But when our century’s Bloodshot finds himself delivered to the dawn of the 41st century with one last mission to fulfill, two Valiant legends will finally come face to face… just as the secret revelation that binds them together across the ages will forever reshape Bloodshot’s place at the center of the Valiant Universe! On June 13th, Jeff Lemire’s Eisner Award-nominated superhero story journeys through millennia for the ultimate meeting of man and machine at the crossroads of tomorrow and today! 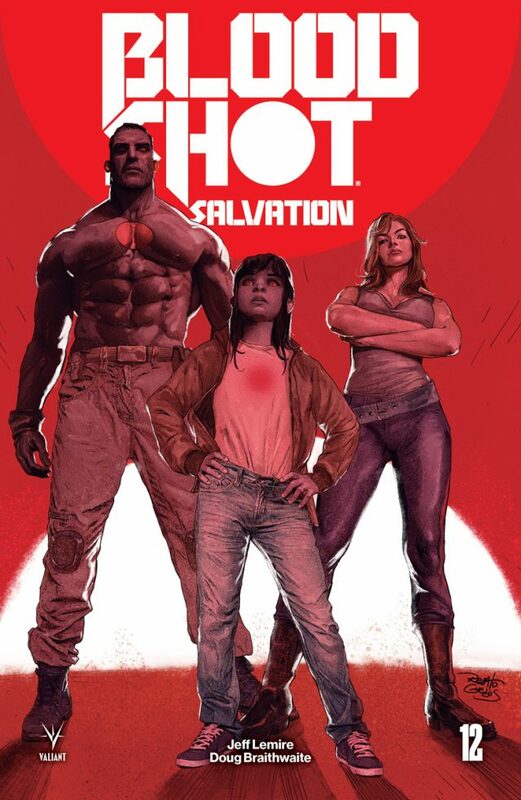 The final stunning chapter starts here as Bloodshot’s past, present, and future collide with superstar creators Jeff Lemire and Doug Braithwaite for “THE BOOK OF REVELATIONS” in BLOODSHOT SALVATION #10 – featuring covers by Kenneth Rocafort (Sideways), Renato Guedes (X-O MANOWAR), and Kim Jung Gi (Hit-Girl)! Plus: Stay tuned in the coming weeks for a special announcement, revealing the next bloodsoaked phase of Ray Garrison’s odyssey through the Valiant Universe….